My sister in law who lives in Japan, made the cutest kitchen mitt for me!!! Omgggggg it looks more than perfect in my Barbie kitchen, doesn’t it!?!?!? Well, it’s too cute to grab things. 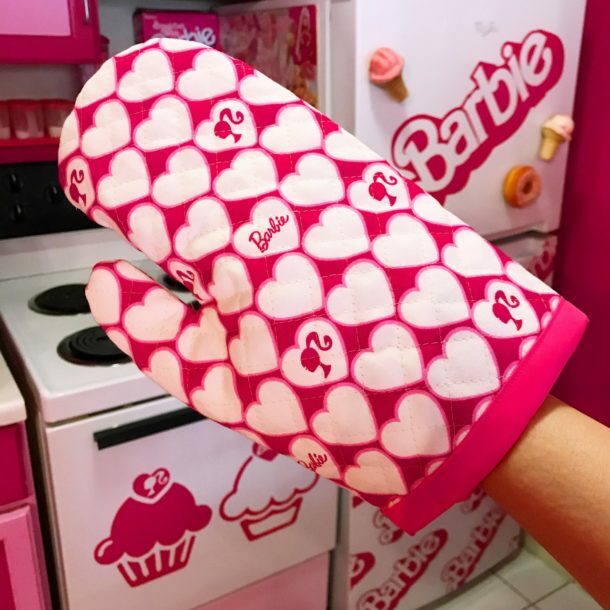 I think I’ll just hook in kitchen as display♡ They sell official Barbie fabric in Japan! They are awesome but I haven’t found any store ship international yet unfortunately… I’ll share the link when I find it!